Saturday, April 6 is a very busy day in the Town of Marana. There are two fun events in our parks, a Memorial at the airport, and a Shred-It event for those needing the safe disposal of documents. Kids at the Park Day on April 6. 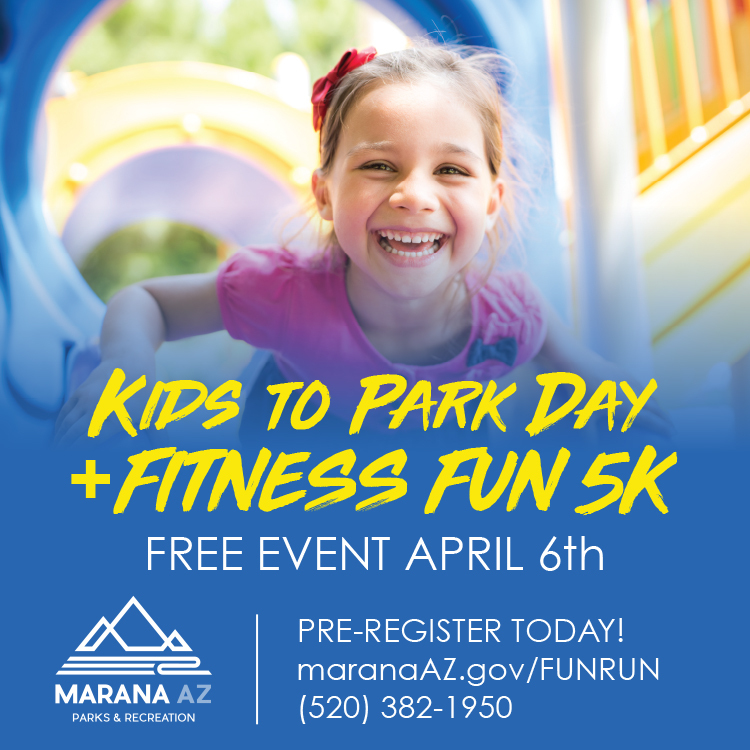 Join Marana Parks and Recreation for a FREE day of fitness and fun in Gladden Farms Community Park. This event is robust with activities that encourage families to get outdoors and explore their local parks and paths! The best part… it’s all FREE! Don’t miss out. Not only is it the start of Splash Pad Season, but we will have a face painter, balloon twister, inflatables and more. Come early and celebrate the new 2.5 mile extension of the shared use path in north Marana! Enjoy on-course entertainment provided by Salpointe High School Drum-line. Bring your dancing shoes for a night of free music in the park! Enjoy music while lounging in a chair or on a blanket (borrow one from us if you don't have one). The first free concert of the year is Marana's own Caiden Brewer. Brewer plays country music and has become a real fan favorite at Marana events. The show starts at 7:00 p.m. at Crossroads at Silverbell District Park. Grab a bit from our great food vendors Carole’s Homemade Salsa & Up In Smoke BBQ and Sweet Sensations. Town of Marana and Shred-It partner for a paper shred event. Free paper Shred-It Event for Marana Residents with non-commercial documents that need shredding. The shredding will occur on-site at Twin Peaks Elementary from 9:00 a.m. until noon, unless the truck fills up. Donations to the Marana Community Food Bank are encouraged and greatly appreciated. There are some other great events in Marana later in April. Marana Macro Machines, Friday April 12 from 9 a.m. - 1 p.m. at the Splash Pad at Heritage River Park. On Friday, April 12 from 9 a.m. - 1 p.m. at the Splash Pad at Heritage River Park, get up close with the people and machines that work to make our community great! Free ice cream vouchers for the first 200 kids. Visit a wide variety of vehicles, including a sweeper, loader, blade, striping truck, landscape truck and trailer, fire truck, police squad cars, and morel Observe police squad car demonstrations and more. 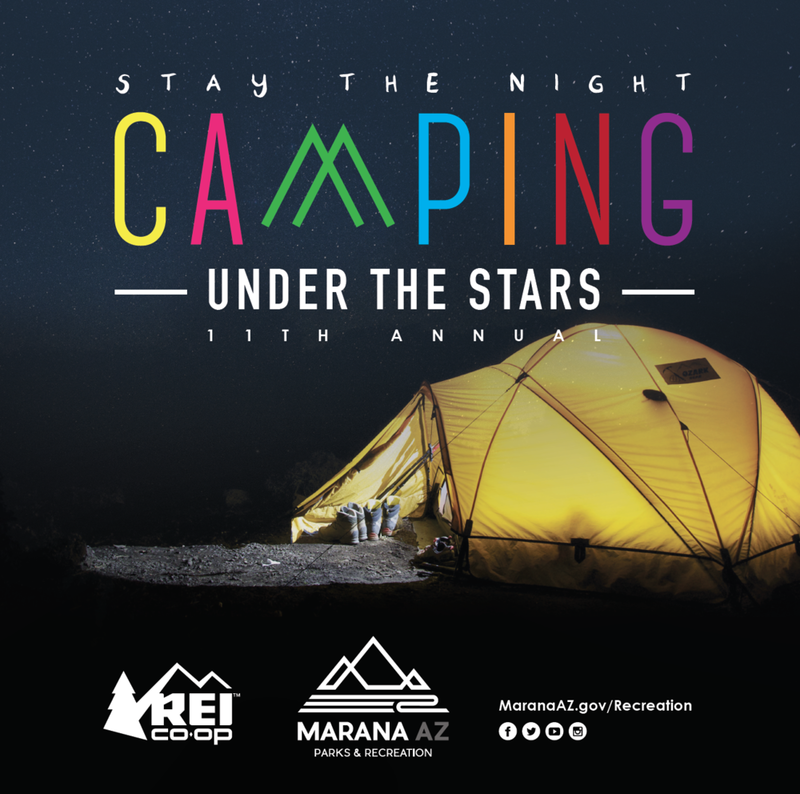 We are showing Peter Rabbit as part of our Marana Camping Under the Stars event. Join in on the fun and spend the night camping or just come for the free movie. Whether you come for just the movie or the movie and the camping event, it is sure to be a great time for all.